The Ramblers opened their 2017 Walking Festival with the now traditional and popular evening walk through the gardens and forest at Tullynally Castle. Tea and scones in the Castle Tea Shop provided a sociable start to the evening before the group began their walk. The spectacular gardens have become even more attractive recently with lots of improvements, clearances to provide better views and signposts to welcome the visitor. Some of the magnolias were past their best after the mild spring but the bluebells and primroses brightened the scene beneath the fresh new leaves on the trees. Rain on Saturday morning cleared in time for the start of the walk in Ballynacargy and on the way along the Royal Canal towpath to the Hill of Laragh the group passed a swan on its nest. 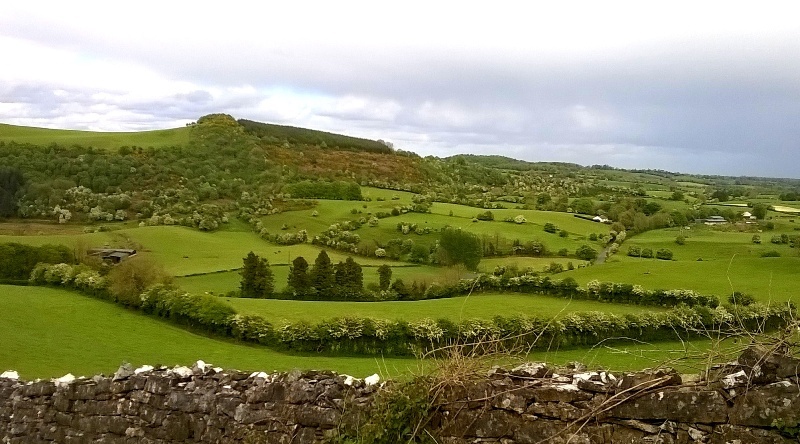 The all-round view from the hill included Corn Hill and Mullaghmeen over fields bordered by hedges full of white hawthorn blossom. 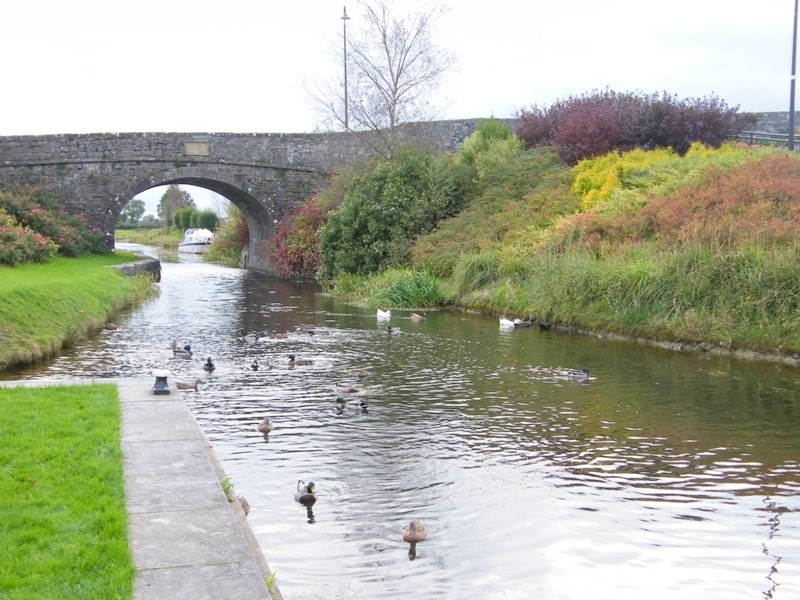 A cross-country and road walk through Lakingstown brought the group back to the Canal near Kiddy’s Bridge beyond Ballynacargy. Lunch at Lock 38 beside Kelly’s Bridge was a break on the varied walk along the towpath to Abbeyshrule through lush meadows, then wild open bog with primroses lining the Canal bank and finally the immaculate approaches to Abbeyshrule. 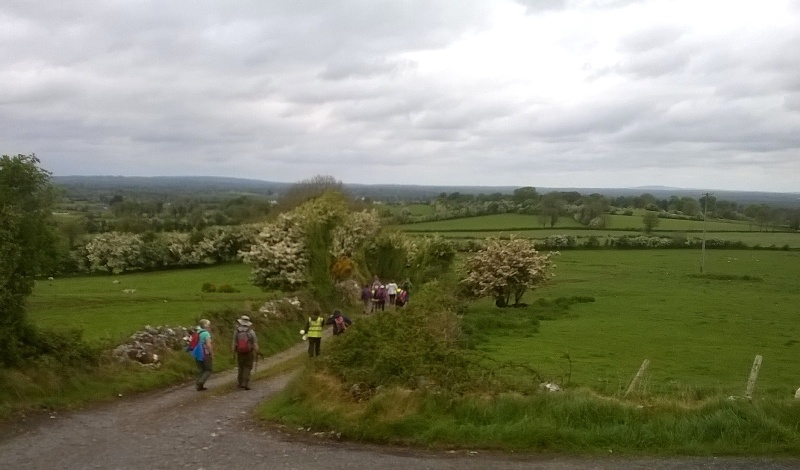 The tea and delicious scones with jam and cream in The Rustic Inn were a relaxing end to the walk before O’Haire’s coach arrived to take the group back to Ballynacargy. 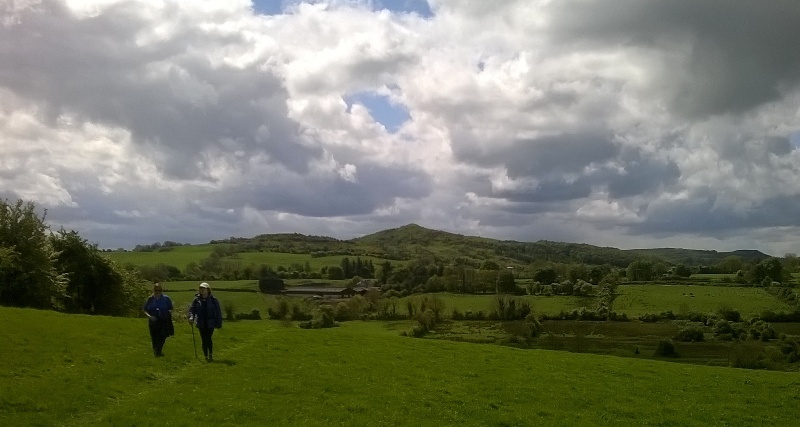 Sunday’s walk sounded intimidating at 20km to 22km but it proved to be a marvellous day’s hike from Whitehall to the summit of Knockeyon and then to Fore village across mainly private land. 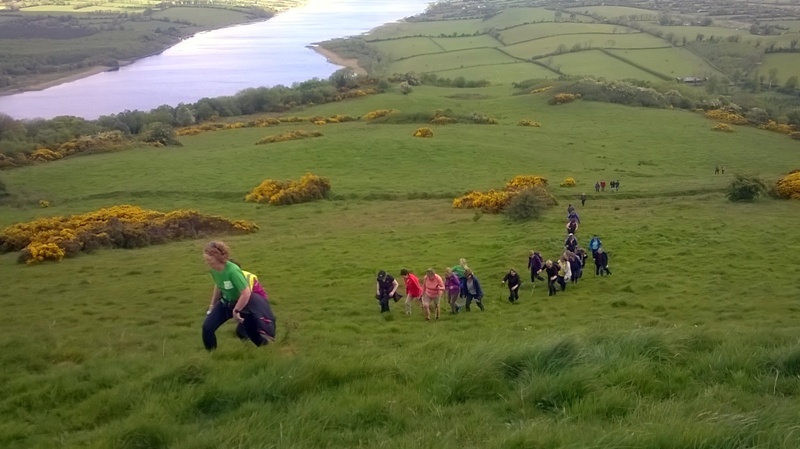 The steep climb to the summit of Knockeyon was rewarded with stunning views south over Lough Derravaragh as far as County Offaly, west to Corn Hill near Longford and north to Mullaghmeen. 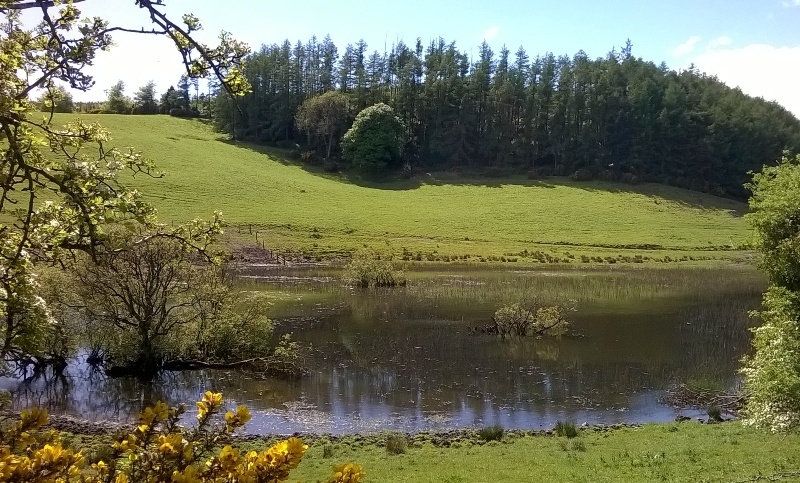 The walk continued through Derrynagarragh, an area of woodlands filled with birdsong on the day and several small loughs between hills covered in yellow-blossomed gorse. Knockeyon receded behind and then Lough Lene came into view with several anglers boats near its western end. Further round the end of the Lough the route followed the shore for over a kilometre before turning north over the flank of the hill at Windtown and finally down into Fore. The Ramblers would like to thank everyone who worked hard to make the weekend so memorable. First the walks leaders and organisers: Club Chair Patricia Bruton on Saturday and Frank, John and David Higgins on Sunday. Thank you to Thomas and Valerie Pakenham of Tullynally Castle and the many landowners who allowed access to their property over the weekend. Jane O’Reilly of the Coffee Shop in Fore also added to the success of the Festival while the walkers enjoyed snacks or meals in Tullynally Castle Tea Shop, The Rustic Inn in Abbeyshrule and the Hotel Castlepollard. Club Secretary Nini Murray and Co-Treasurer Mary McHugh put in vital work with registrations each day. The Ramblers Club President Brian Nerney gave invaluable support anytime and anywhere over the weekend with water, fruit and a lift back to base if needed. Thank you to Streete Parish Park for the supply of bottled water. Transport was provided by Salmon’s Coaches of Castlepollard and O’Haire’s of Ballymahon. This entry was posted in Uncategorized on May 29, 2017 by Philip Epps.